About Us | KeyStaff Inc.
KeyStaff was founded in 2004 in Austin, Texas by friends Amy Clary and Jason Stoneberg. As soon as the doors to KeyStaff opened, the business partners were exceeding expectations and within the first 6 months of operation had more than doubled their initial business goals. Their vision was to create a professional yet fun-to-work-with staffing firm that would also have a strong ethic of community involvement. KeyStaff is committed to servicing the community through providing qualified candidates to companies and by providing applicants with career counseling to help them find the right opportunities that fit their skill set and help fulfill their career goals. KeyStaff has been able to partner with companies that run the gamut of the professional spectrum, from light industrial to administrative to engineering and IT. Partner with KeyStaff to employ the best talent or reach your career goals. Jason Stoneberg, co-founder of KeyStaff, grew up in the Austin area and from a young age wanted to start a business that would make a positive impact in the area community. After graduating from college, he worked for several years in Austin at Motorola (later Freescale Semiconductor), honing his analytical and organizational skills before partnering with Amy Clary, a true dynamo of energy, to found KeyStaff based on the principles of good, quality, honest service to the client, customer, and community. He continues to work hard every day on ways for KeyStaff to provide better and better service. Founding KeyStaff has been a great journey, not only because of personal growth, but also because Jason has been able to see the positive impact it has had on so many lives. He finds it rewarding when KeyStaff connects people with a good job and they are flourishing in that role years later, and also finds it rewarding to witness the opportunities KeyStaff has been able to afford the internal office team. He finds it especially rewarding to see how a thriving business can engage with and have an impact on the greater community. 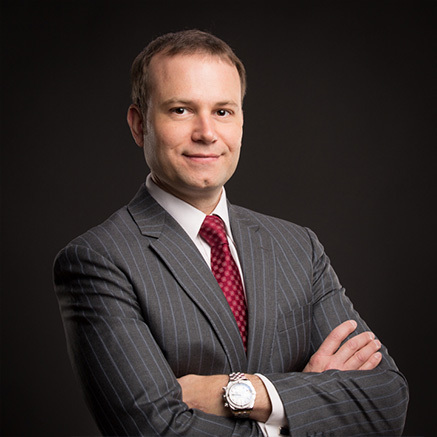 Jason really enjoys staying involved with the Austin community and, while regularly a participant, he is often a committee chair and has even served as an organization founding member. He completed the Leadership Austin Emerge program in 2009, and has continued to stay involved in the Leadership Austin organization which has done so much for the Austin community. His commitment is contagious and is admired by his Leadership Austin contemporaries. Jason was born in Austin, Texas. He received his undergraduate degree from the University of Texas and a Master of Science degree in electrical engineering from Texas A&M University. Amy Clary, co-founder of KeyStaff, is consistently endorsed for her recruiting and leadership skills. She is a highly motivated, hard-working, successful entrepreneur skilled in all aspects of sales and recruiting. 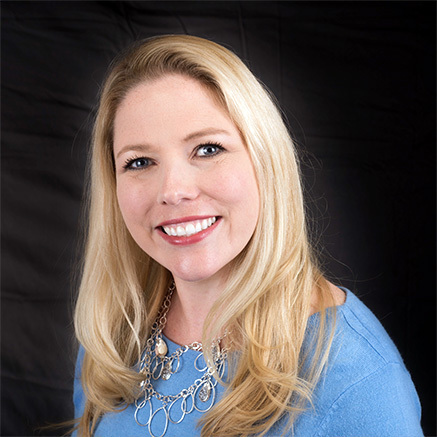 Amy’s involvement in human resources began directly after college graduation with an entry-level job at a local staffing company in Austin, Texas. Amy quickly climbed to Direct Hire Subject Matter Expert and won several performance awards including “Rookie of the Year” and multiple “Top Producer of the Quarter” awards. It is evident that Amy’s unparalleled energy, enthusiasm and dedication span all aspects of her life: professional, personal and philanthropic. The company Amy helped found is now successful in four Texas cities. When Amy is not working, she spends time with her family and pursuing her passion of advocating for orphans through One Less Orphan Fund. That’s just the beginning and does not include all the community organizations she supports and has served along the way. Amy was born in Tallahassee, Florida. She moved to Austin to attend the University of Texas, but also lived in Paris and Lyon, France while pursuing her bachelor’s degree in government and business. Amy currently lives in Plano, Texas with her husband, Chris, and four children. Jason enjoys engaging in community efforts, and although he likes to focus the majority of his energy on one organization at a time, that doesn’t stop him from spreading the wealth by getting involved where he can make the most difference. When not a mission trip, Amy is back home advocating for orphans and volunteering anywhere else she can. Our mission is to enrich our clients and candidates by placing the right candidate in the right job. Rocks let you do most of the talking. KeyStaff will listen to, understand, and actively address all personnel needs to benefit your business. 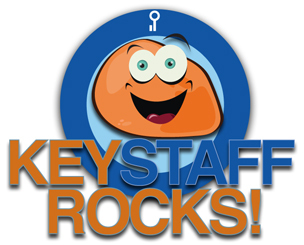 Available 24 hours a day, 7 days a week, you can always count on KeyStaff and our pet rocks to take care of all of your staffing needs. A lovely, low maintenance creature, rocks do not require a lot of hand-holding. You receive all the benefits of a pet without the extra work. Similar to KeyStaff’s ability to assess your business’s personnel situation, provide quality candidates that suit your needs, and manage any and all human resource situations, your pet rock is certainly a versatile creature that wants to provide superior service and make clients happy.